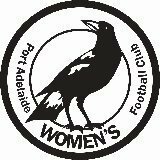 Welcome to the Port Adelaide Women's Football Club. We aim to be role models for female sport with our endeavour on the field and leaders off the field and season 2018 will be no different. We will be fielding two teams next year - a division one side and a reserves team. 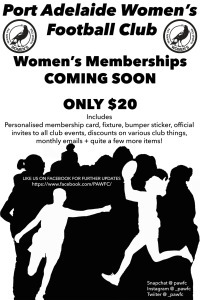 Includes Personalised membership card, fixture, bumper sticker, official invites to all club events, discounts on various club things, monthly emails + quite a few more items!